Do you know Cathie Filian from Creative Juice? Well, she's a Emmy nominated tv host, ubber-talented crafter, inventor, designer and book author. Her newest book 101 Tee's: Restyle, Refashion, Revamp was just released last week. She uses lots of great techniques to transform a plain tee. In her own words, "This book is all about giving you the potential to create your own designer tees for a fraction of the cost. Every chapter contains at least 10 original ideas, each with a new technique to learn or explore. Many of the tees are so quick and easy to make, you can be wearing one tonight." 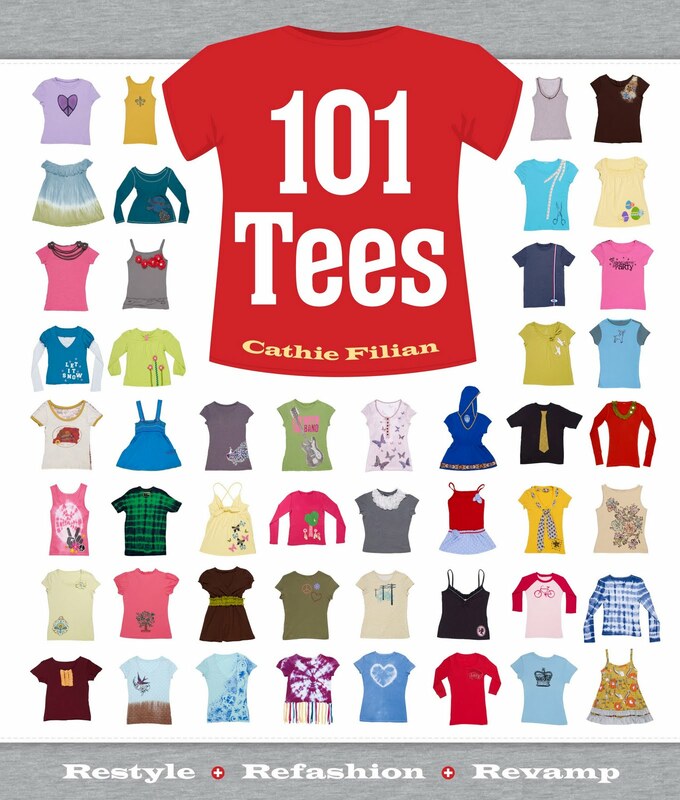 If you would like to WIN one of Cathie's books, simply leave me a comment with your email address. The giveaway will be open until Thursday 10 pm MST. Love t-shirt refashioning, I hope I am lucky. I would like to win this cool book! Thank you for the chance! I love tee´s! I would like to win this book! Thanks for a chance. Great idea. That peacock shirt is beautiful!! I would love to win the book. Love your blog! I've never been a fan of t-shirt re-fashions, because many of them seem to be in a style that I can't get away with wearing (slashes and cuts, etc.). However, after the peek inside the book that you've given us, I think I could change my mind! This book looks like so much fun!!! With 4 grand daughters and 4 adult females in my family, I NEED this book! Thanks for a chance to win it. What a great book! Thank you for the lovely giveaway! There seme to wonderfull refashioning! Would love a chance to win! That book looks awesome!! i hope i win! This looks like a great book! would love to win! What a great book especially for a college student budget. What a neat book! Thanks for the giveaway! T-Shirts, I have a few...hundred! :) Thanks for the opportunity to win. I have so many "blah" t-shirts. With this book I could turn them all into "wow" shirts! FUN!! If I don't win I'm sure I'll end up purchasing a copy!! I'd love to win the book! I've got so many t-shirts that need an update! What a fun looking book! This would be wonderful for my pre-teen daughter who is just learning to sew. Thanks for the giveaway! I would love to just get a sneak peak! I enjoy to read your blog/ thank you for giving me si much ideas. I just bought a bunch of Tees with the plan to snazz them up, but I can't quite get them to turn out right. Maybe this book will help! I just love all of Kathy's stuff. I saw her at the craft show in So. CA a yr. ago and I couldn't believe it was her. This is a great givaway! That book looks amazing, i'm not one to really win things but hey! why not give it a whirl? What agreat idea! T-shirts are so cheap at the craft stores too. Such inspiration! I love the book already. Thanks for the chance! What a fun give-away! I'd love a chance to get some creative action with this book! I would love to be able to win!! I live in tshirts and they need some updating! Very cool idea! I'm always on the lookout for cute tees. Never thought about making my own. Looks like a book I am going to need...and soon. Hope I win!!! T-shirt refashions are the best! I absolutely LOVE your blog! Awesome ideas and the maxi dress tutorial is perfect for a gift for a friend who is expecting! 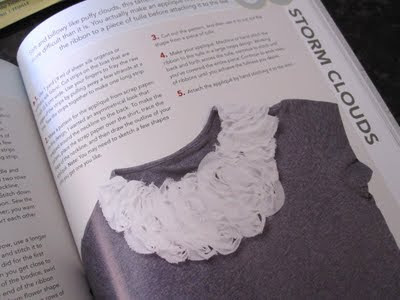 The T-shirt book looks great, all of the girls in my house would have a great time putting it to good use. Would love to win...my 11 yr old daughter and I would have so much fun with this! julielromero at Comcast dot net. What a fabulous book and an opportunity to win it! Thank you! Ive been trying to come up with things like this on my own to save $ but this would be way cooler to have more inspiration! This would be a great book to win! Win or loose, I'm going to get one of these books. fab giveaway, Kalleen! Thanks for the chance! looooove it. must win it. Would love to win it! I'm on a tight budget, but t-shirts are cheap, so I'd love to win this!! What a great book, look out old t-shirts in my closet! Oooh Ooooh, me, me, how could I not win this awesome book??? It's named after me, lol. After reading your previous tutorial on how to make a maxi dress I was very inspired to try it. I'm on my way to JoAnn's to find some material. This t-shirt revamp book looks super cool. I would love to try and upgrade my t-shirts too. Ohhh, looks interesting, would love this book. I would go crazy with this book. I want it. I'm just starting to get into crafting and sewing. I would love to put this book to use! Thanks for the chance! Since I am helping my kids get their kids lined out for school this year, this book would be perfect! pick me-I have 8 grandchildren. I would like to learn more about this. Thanks for the giveaway. I love this! How fun! 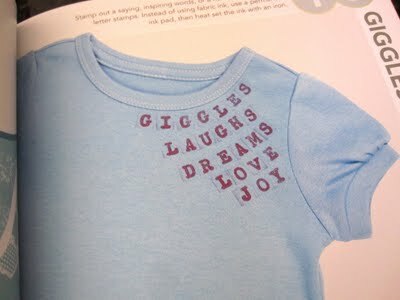 I have been wanting to embellish tees for so long! This book would seriously help! I would love to win this book! Thank you so much for the fun giveaway! Cool! Thanks for the giveaway! Looks like an awesome book. Please pick me! I miss seeing her on Creative Juice! SO talented! Best giveaway EVER!!! Pick Me!!! What a great concept! I am intrigued. I would love to own a copy of this book. I do crafts with a group of young girls once a month at our church and I am always looking for something that they will be able to enjoy doing and also enjoy afterward. 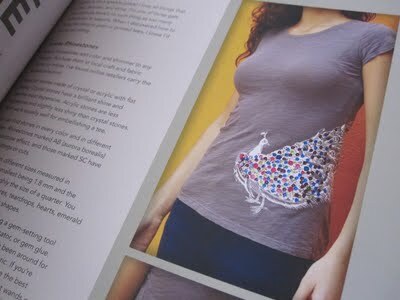 Refashioning a t-shirt would be a great craft for us to do. I would love to win this book. My email is dougandannereno@yahoo.com. Wow, what a great idea for a book! Would love to win this one! What a great book!!! I would absolutely LOVE to win! dyn2dnz (at) aol (dot) com. So wonderful! Looks like a great book! This would be an amazing book to have! Thanks for the giveaway! I have approximately 42 Ts that I could do this with. JustVal, my husband (you read that right) and I love to watch her show. Her new book looks AMAZING! Thank you so much for a wonderful give-a-away!! I would LOVE LOVE LOVE to win! I would love to win this book. Living in a small town we all dress similarly, it would be great for my clothes to have more perssonality. This book looks so fun! I would love it to do some crafts with my sister!